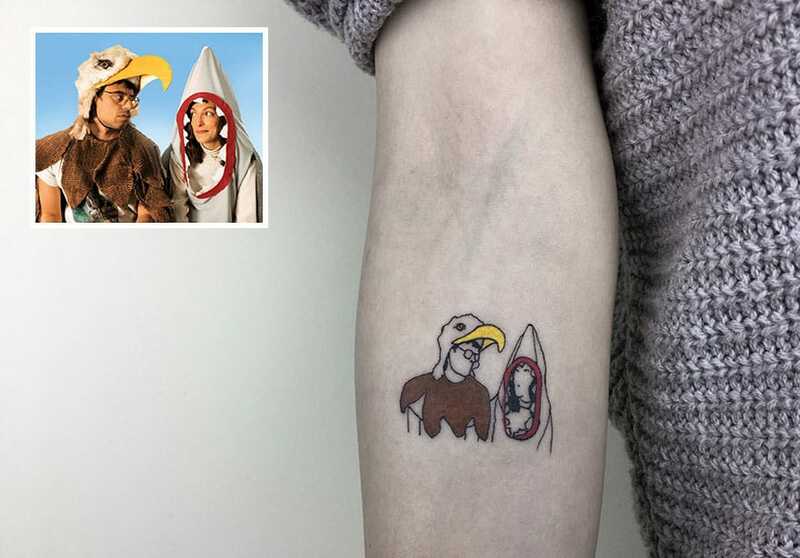 Tattoos are excellent pieces of art, that are mostly very meaningful. 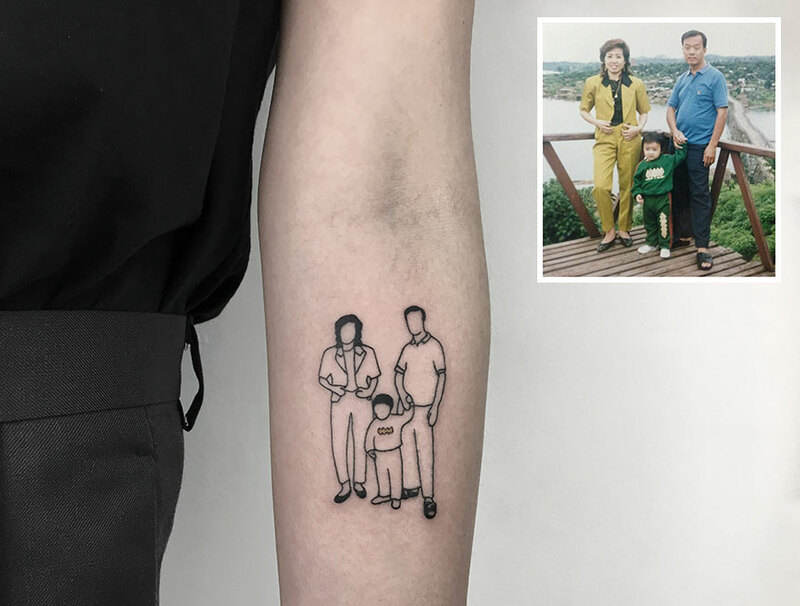 This artist wanted to create a new style of tattoos, and he succeeded! 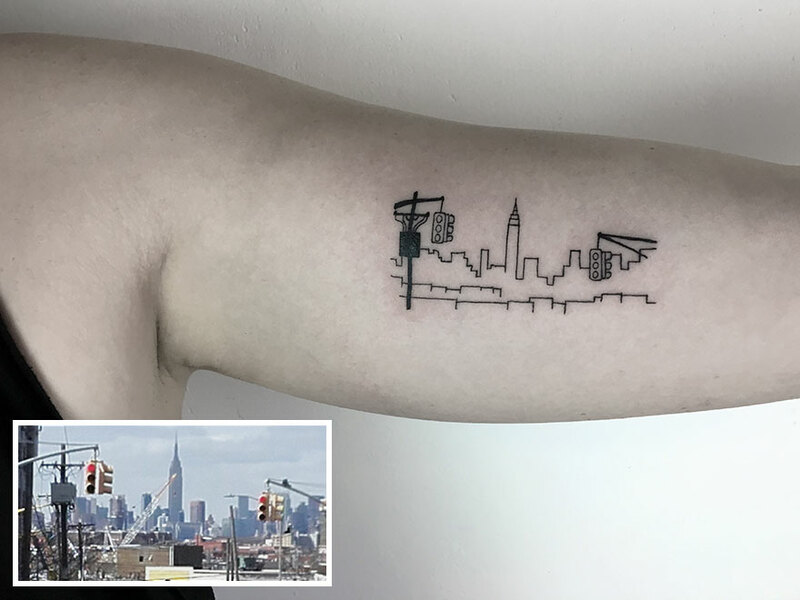 Here are the 25 coolest minimalistic tattoos! 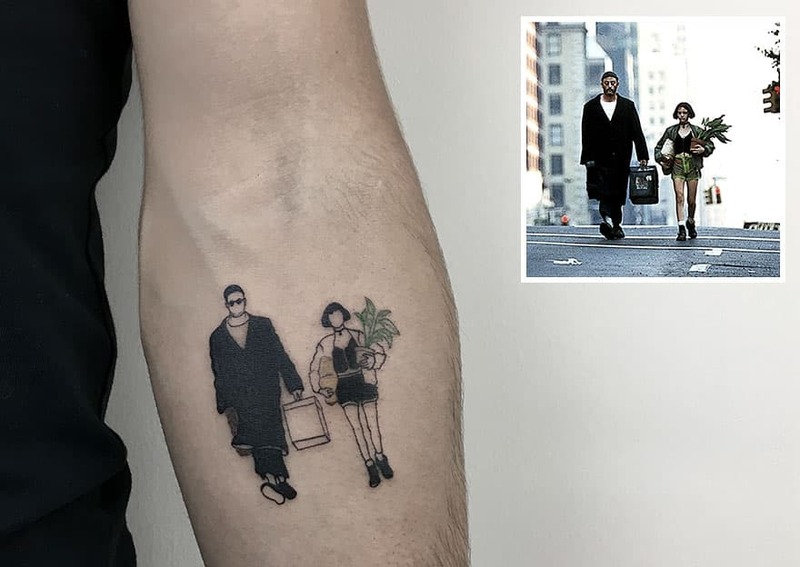 A memorable scene from a fantastic movie, is the perfect idea for a tattoo! 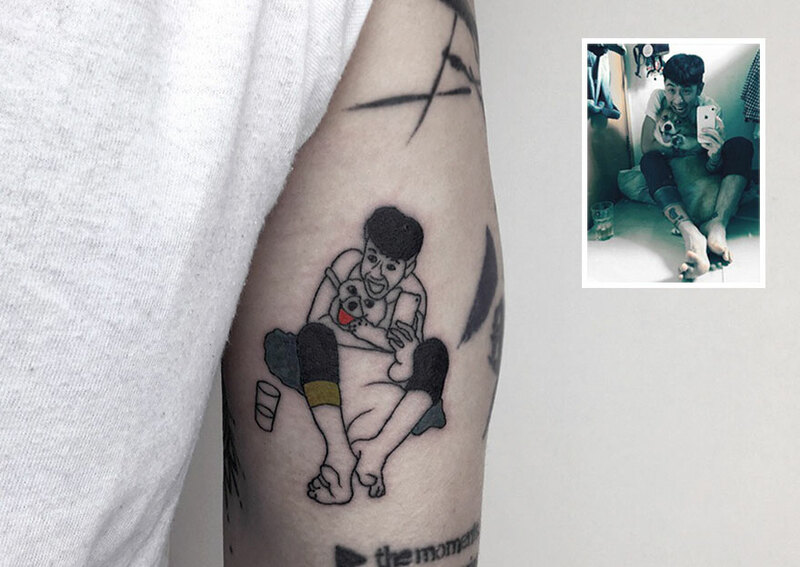 An artsy picture, turned into an artsy tattoo! Two best friends can share this moment forever! 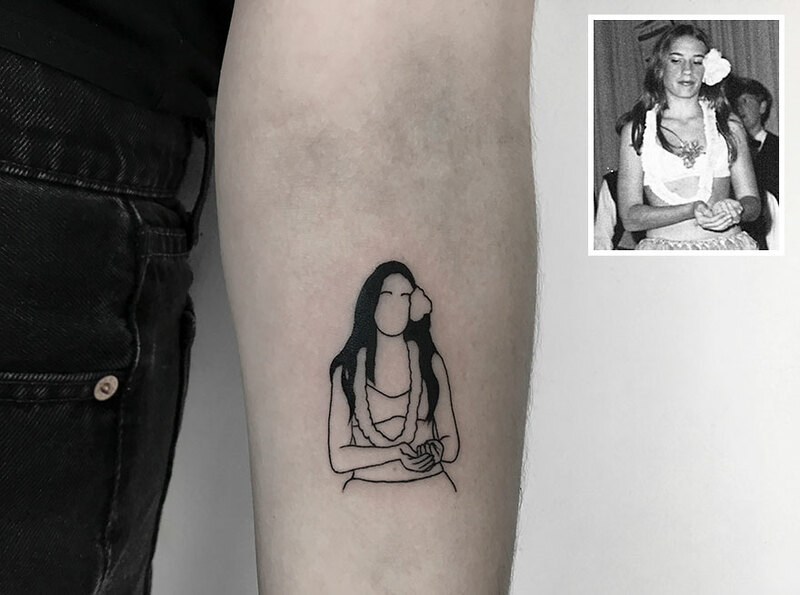 A cute girl from back in the day, made into a neat minimalistic tattoo! 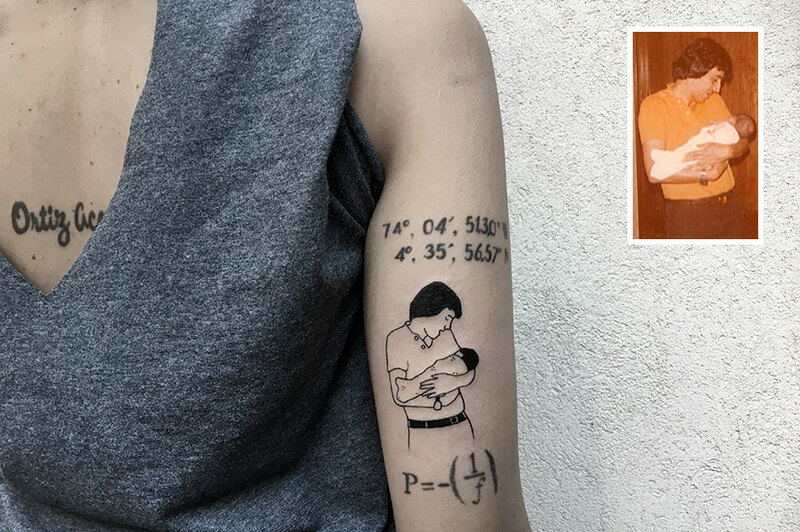 Maybe a memoriam of her father, or it might just be her favorite picture of them together! 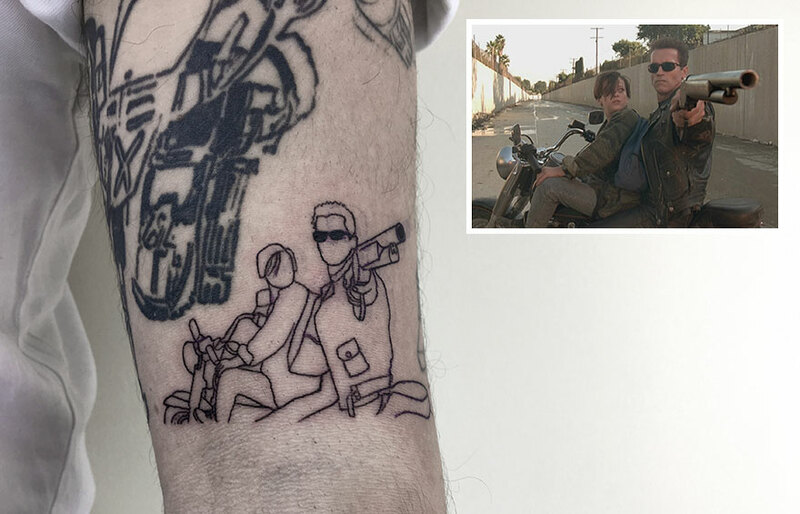 Either way it’s sweet and looks cool as a tattoo! 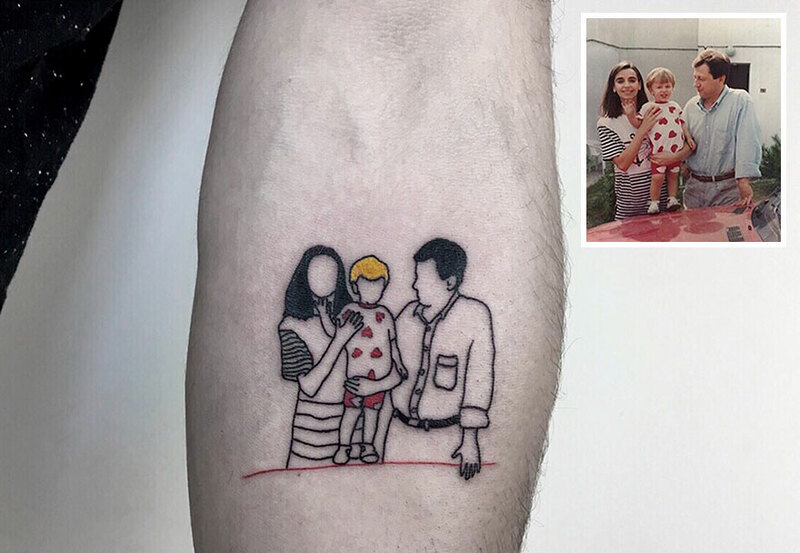 A sweet picture of the family together, and it makes for a nice tattoo with the contrast of colors! 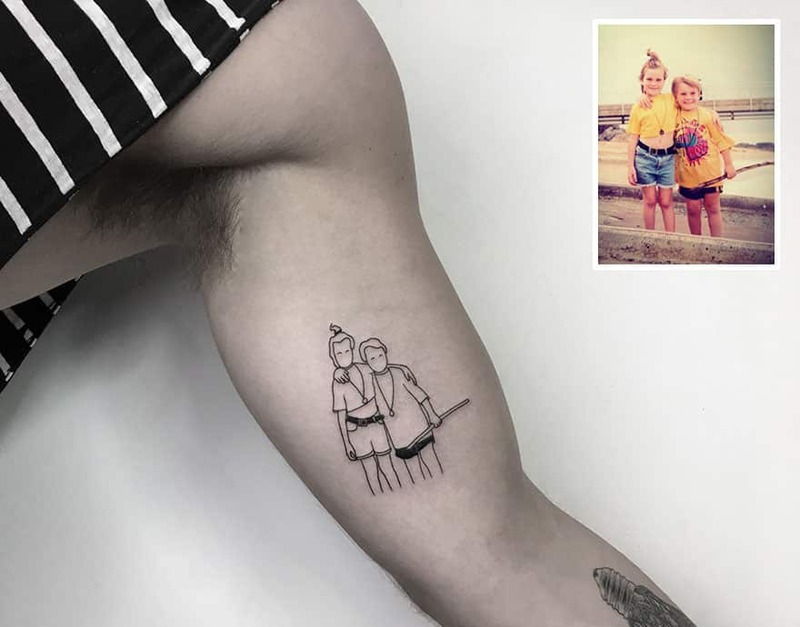 A nice treat on the beach, and now they can share that moment forever! 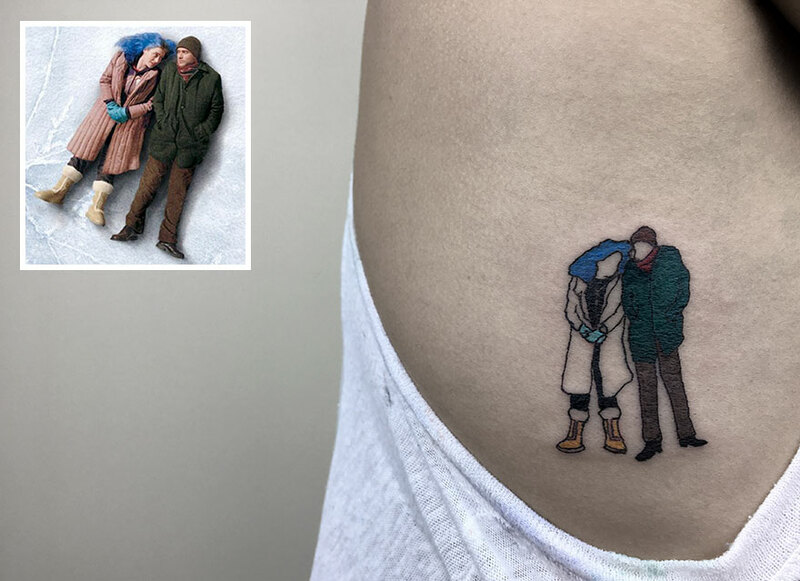 A great movie, with great characters, will always make for a great tattoo! 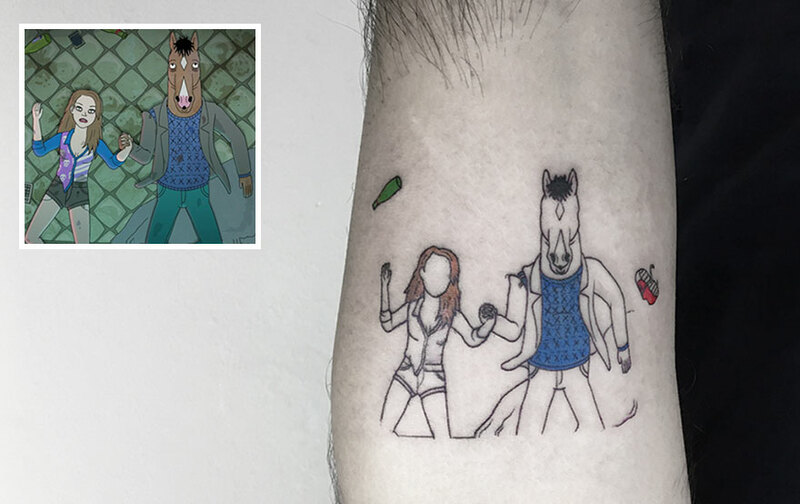 Bojack Horseman is a loved television show, so getting a tattoo this cool is obvious if you’re a fan! 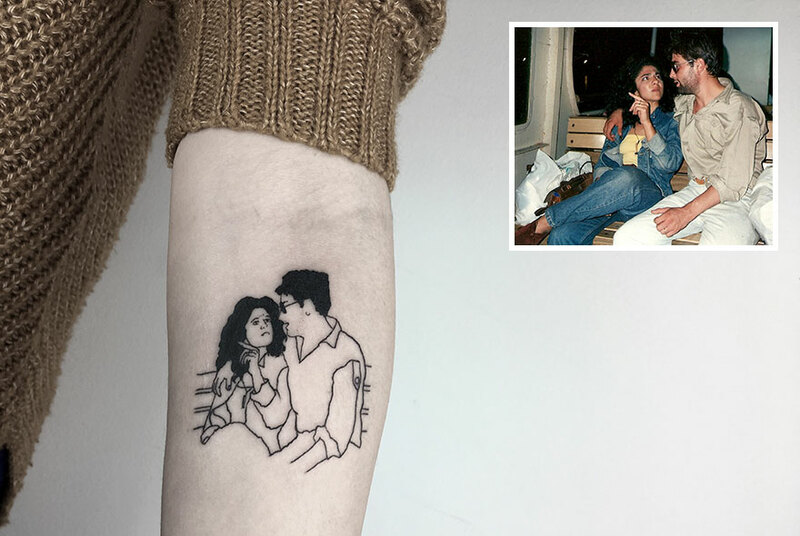 A couple shares a moment form their first moments together, and now they can share that moment forever! 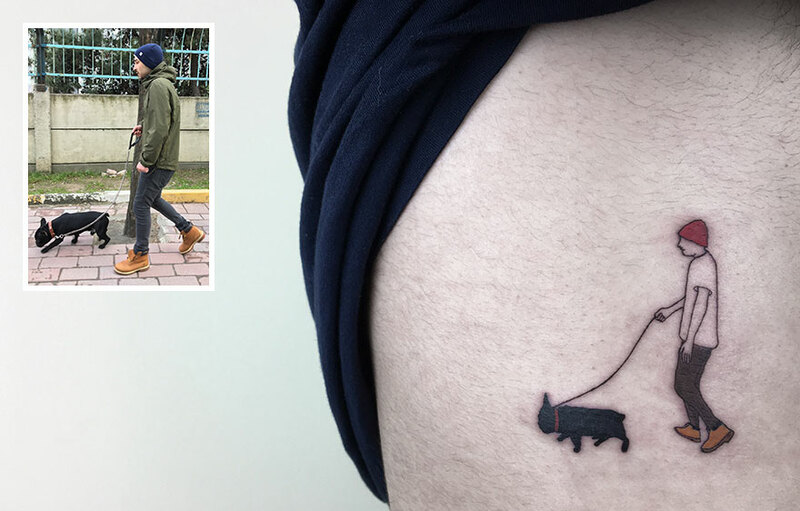 A tattoo to remind him of the one time he walked the dog, so he can reference it anytime he’s asked to again! 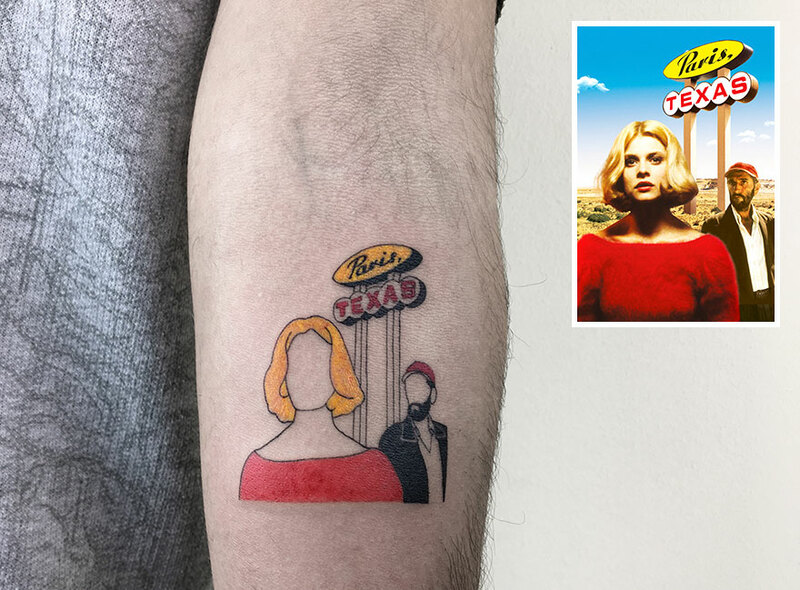 The colors along with the vector of her jacket work very well together! 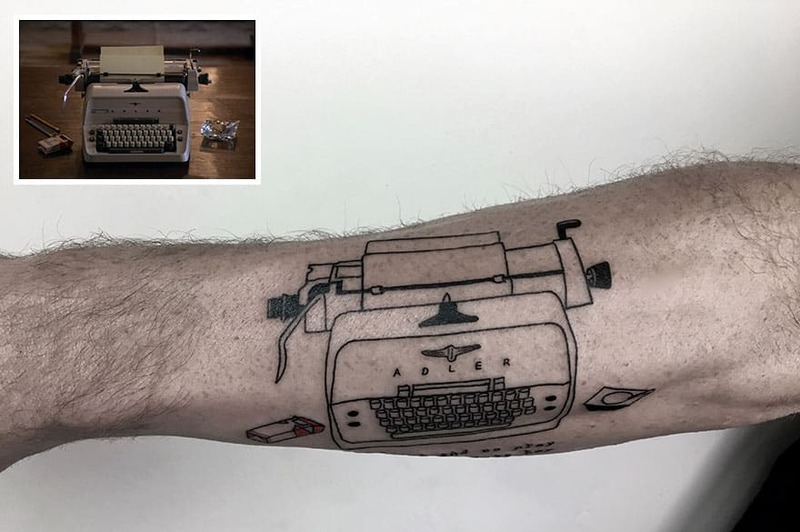 The famous typewriter from the shining makes for an amazing looking minimalistic tattoo! 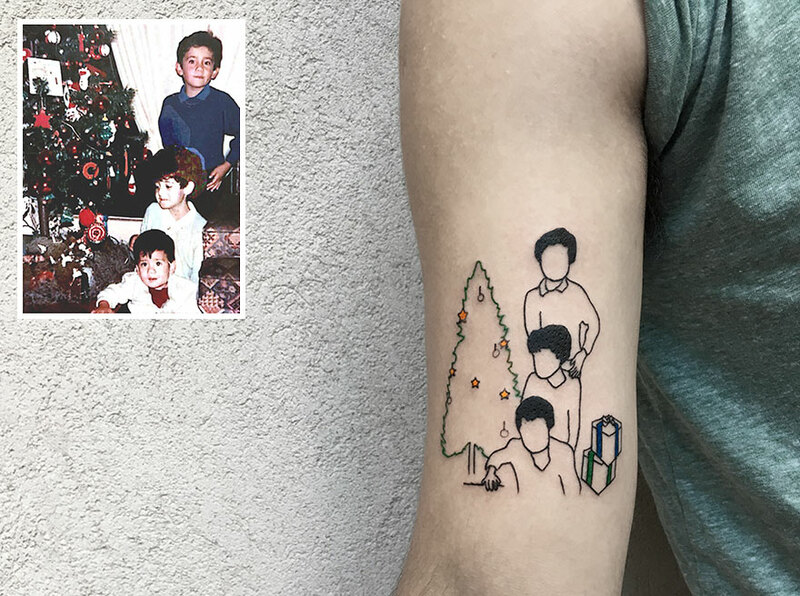 One of the best vacations is the perfect reason to get a tattoo, especially one that looks as cool as this! 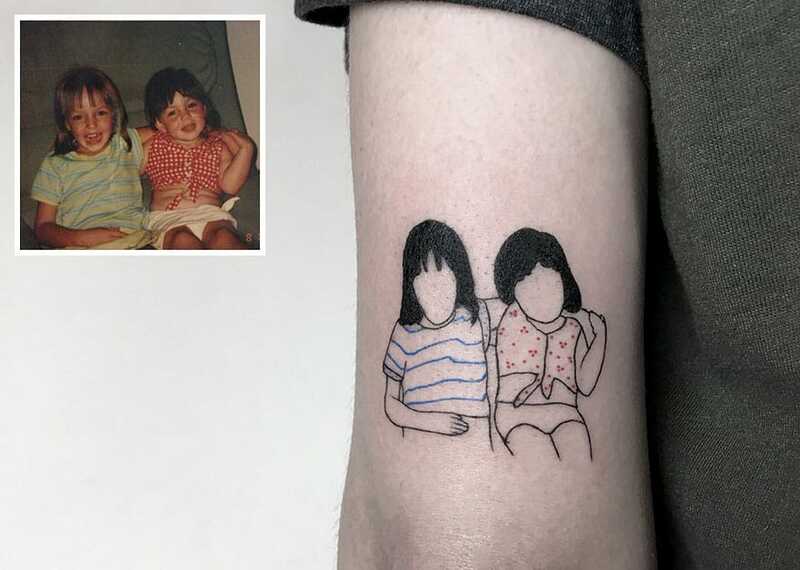 Two different shirts to differentiate the two sister with distinct colors, looks amazing as a tattoo! 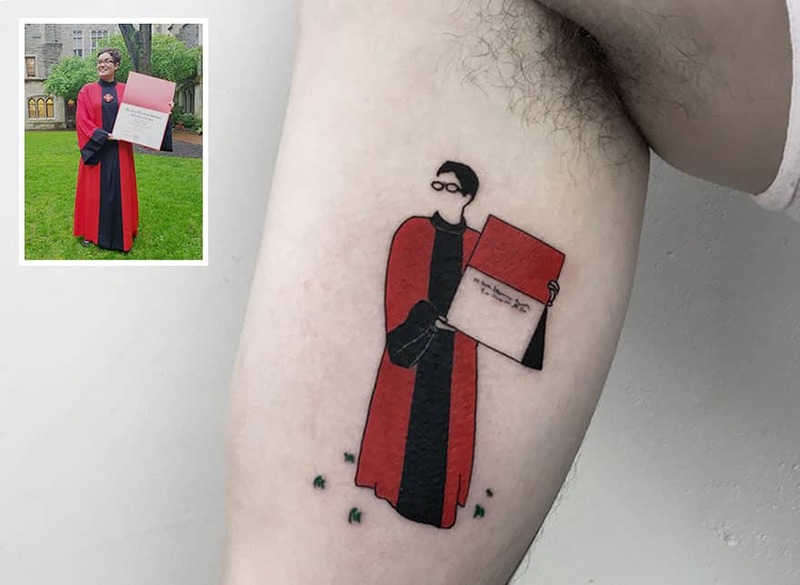 One of the most important moments in someones life is their graduation, so why not get a tattoo of it to remember it forever! 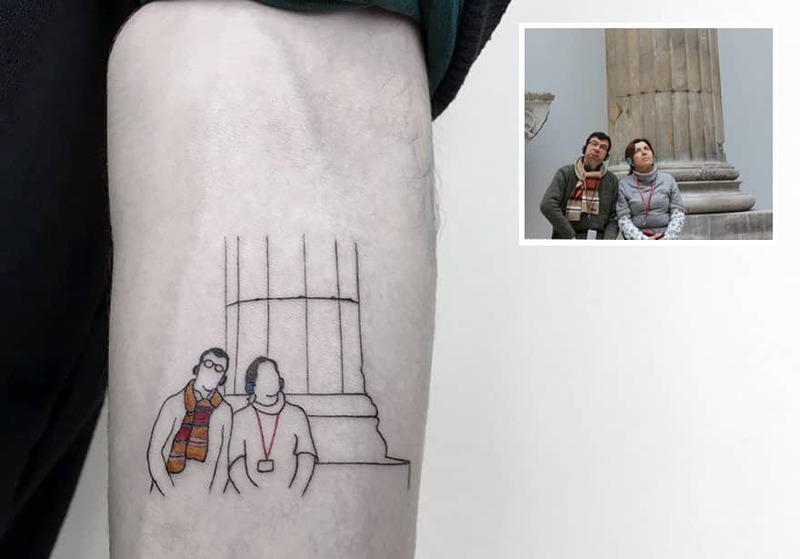 Two cold tourists share a moment, that makes a cool tattoo with the colorful scarf! 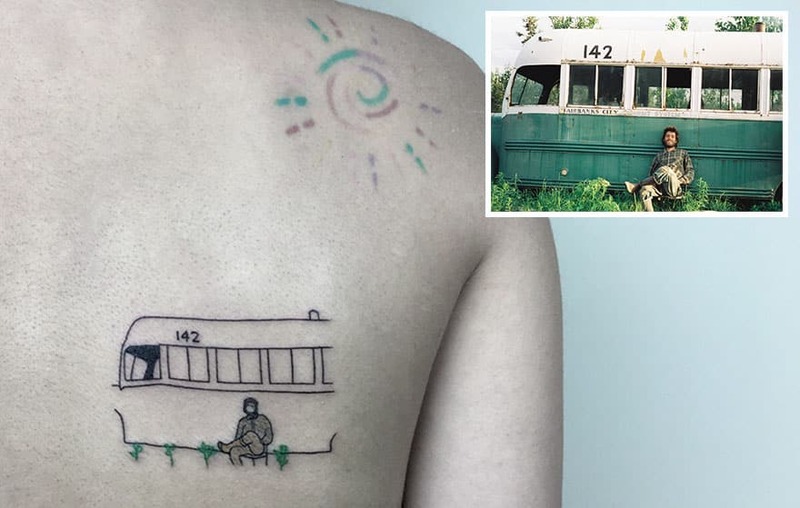 A cool scene from an awesome movie, makes for an awesome tattoo with the different vibrant colors! 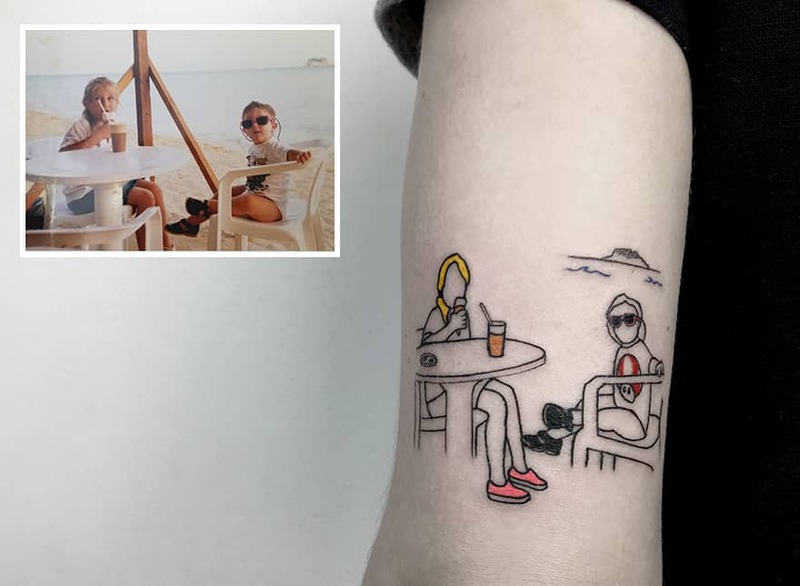 This old picture makes for a cool minimalistic tattoo with two sisters enjoying their time at the beach! 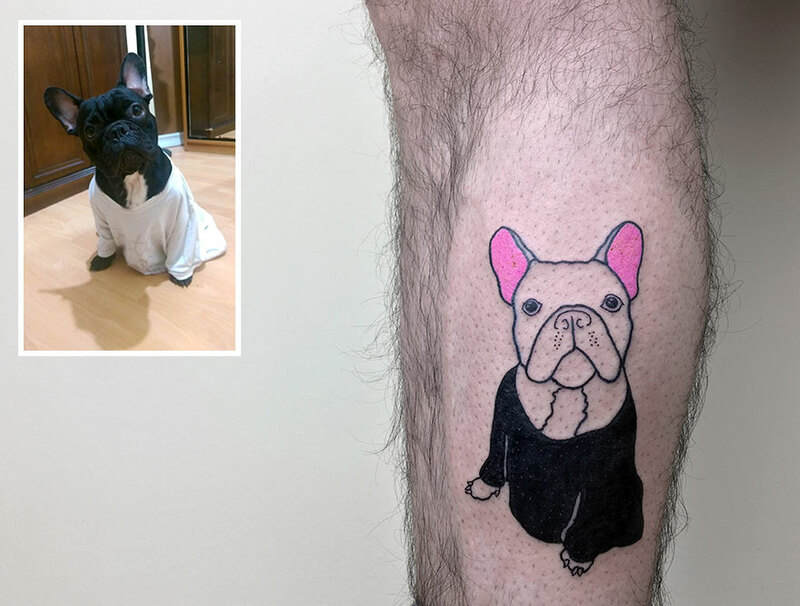 The interesting colors make for an awesome tattoo… I’d get that and I don’t even know that dog! 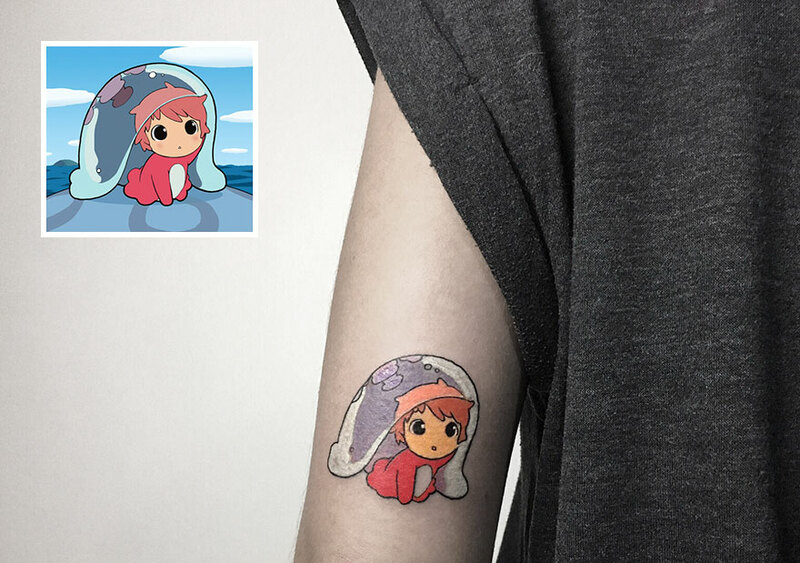 This great animated film makes for a great tattoo, with great colors! 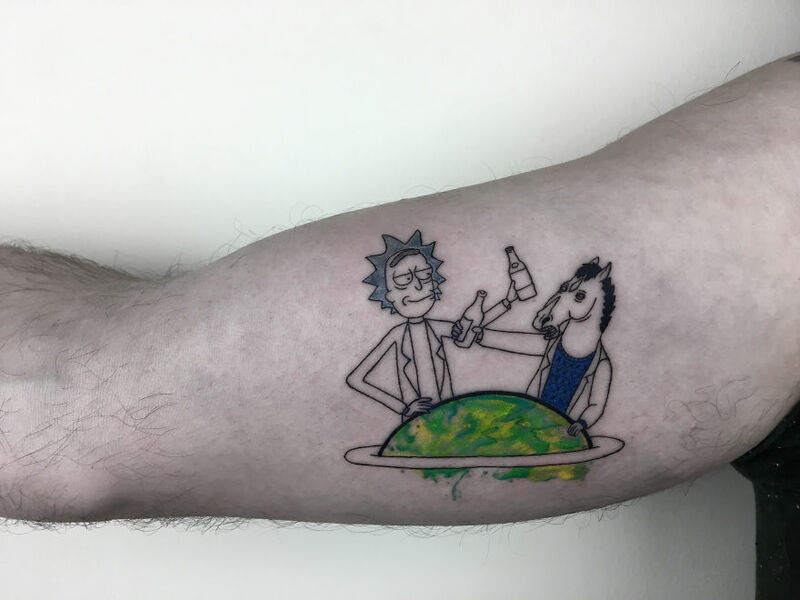 I need a crossover right now!